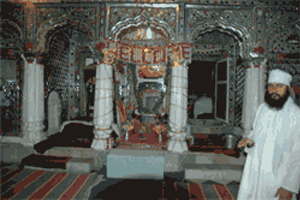 This place is a shrine of Baba Banda Bahadur, a famous Commander of Shri Guru Govind Singh. 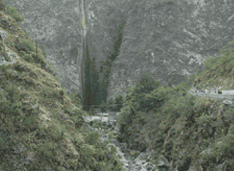 It is situated on the bank of river Chenab near about 20 km away from Reasi. Thousands of devotees all over the State and neighboring States visits this holy Shrine Dera Baba Banda Bahadur throughout the year and especially on the occassion of Baishakhi, when a three day mela is also held here during the month of April. Number of Buses and other light vehicles are available from Reasi and Katra for this place. The Aghar Jitto is situated on Reasi Katra road about 6 kms from Katra and is a religious place where thousands of devotees irrespective of caste and creed or colour visits throughout the year. A 3 day fair is also held here during the month of June on the occasion of Jeshta Pvmitaa in the memory of Great revolutionary farmer Baba Jitto and his daughter Bua Kouri. Buses and other light vehicles can be haired from Katra and Reasi to reach this place. Nau Pindia ia another pingrim stop situated quite on the Reasi Katra road about 8 kms away from Katra and 19 kms from Reasi. 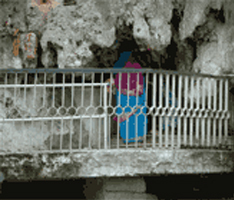 ; The Shrine is a naturally formed Nine Pindies symbolised the Nine Avtar of MahaShakti. 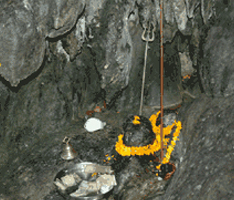 Thousands of devetees especially the pilgrims of Shiv Khori visit this place throughout the year. Buses and other vehicles are available from Katra to reach this place. 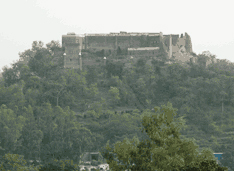 This historic place is also situated on the Reasi-Katra about 10 kms from Katra and 17 kms from Reasi:, From the Main road one has to cover abovt 1 km distance by foot to reach this place. Thousands of devotees especially The shivKhoii devotees hailing from various parts of the country visit this place throughout the year. There is natural Shiv Lingam existing and droplets of water are automatically trapping on it. Buses and light vehicles can be had from Kata and Reasi to visit this place. This place is situated near Reasi on the bank of small river as Anji. There is beautiful park and a ShivKund. People visit this place to have a picnic especially during hot season. Light vehicles are available either from Reasi or Katra. 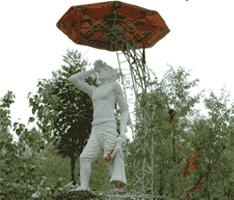 Kalka Mandir, A temple of Maha Kali is located on a hillock just 200 meter above from bus stand, Reasi. One has to traverse 200 meters distance on foot to reach this temple. Thousands of devotees irrespective of caste, creed or colour visit this temple throughout the year to seek blessings of Kalka Mata. 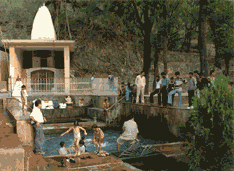 Siar Bab is situated at the bank of river of Chenab near Talwara about 6 km away from Reasi. It is a very good picturesque because of natural water fall from the hill. Thousands of people from Reasi and other places visit this place to get the blessings of Siar Baba and huge rush of people is witnessed during hot season. Mini Buses and light vehicles are available frorn Reasi to reach here. 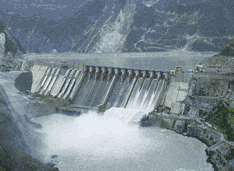 Salal Hydro Electric Dam is situated about 20 kms away from Reasi on Reasi Thanpal road.. This project is the biggest electric project so far in Jamrnu & Kashmir state and over 345 MW electric power is being generated from this project. This place has become also a picnic spot because of big lake on the river Chenab. Buses, Metadoors and light vehicles are available from Reasi. Copyright 2015. Supported By HDFC Bank Reasi. All rights reserved. Site designed & developed by Ideogram Technology Solutions Pvt. Ltd.